My cart wrap was jaw dropping! The channel letters and dimensional signs are one of the preferred choices for building signs across all business types and industries. The channel letter signs are highly versatile as well as flexible which allows for easy customization to match personal design options or brand guidelines. 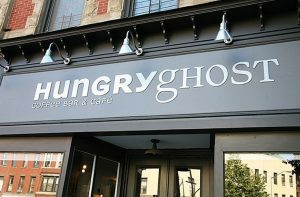 If you are interested in dimensional letters (flat), illuminated signage, or an entirely customized sign, we can design just the right signs for your needs. Visibility Signs & Graphics is the preferred local service provider for professional business signs, along with high-quality fabrication, fast turnaround times, all within the budget you have in mind. Call Visibility Signs & Graphics today at (801) 923-5961 for a Free Channel Letter Sign Consultation! The storefront signage requests we receive the most are for the channel-letter signs. These are three-dimensional signs whose elements are crafted from individually cut from metal. These elements can include images, letters, symbols, or numbers, which are aligned correctly to a backing-frame which has been secured, like the flush-mounted signs or raceway signs. The channels protected by a highly durable acrylic top, made available in all sorts of colors or transparency levels to achieve an attractive customized appeal. With this type of signage, you have the choice to spell out a slogan or the name of your business along with including your business logo. We offer an extensive range of fonts, colors, styles and size options, which makes it a simple task to customize signs for all type of industries or businesses. The channels also come in hand-formed formats to create any type of icon or an image that you can imagine, which allow for a way to add just about any custom fonts or images into your signage. Our versatile Channel Letter Signs are the preferred choice for industries such as manufacturing facilities, retail stores, churches, office buildings, schools, grocery stores, shopping centers, malls and more! The dimensional letters possess a few similarities to the channel letters in the way that they both involve elements that have been individually created. The differences in the two types is that channel letters are empty inside that allows for illumination or lighting, while dimensional letter signs are cut out of metal or acrylic sheets or other material types. We offer several options when it comes to sizes, the fonts, and styles, along with a choice in how thick you would like the material to be, which allows for control on how dimensional you want your signs to appear, from virtually flat onto several inches in depth. 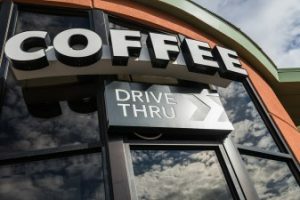 Visibility Signs & Graphics creates high-quality and appealing dimensional letter signage that match your brand and promote your brand in a high-quality, durable way. 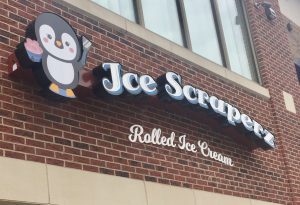 This signage type matches up well to a mall, manufacturing plant, retail stores, restaurants, as well as an excellent choice for lobby or indoor signage. When choosing the channel letters, you also have the choice of adding in LED lighting. This addition will ensure your business can easily be spotted in poor weather conditions or at night, allowing you to continue to attract new business and clients regardless of what is going on outside. We are experts in handling each aspect of your project including the installing of your sign, securing and fastening, and installation of electrical elements and when finished we leave your area as clean as it was when we arrived. 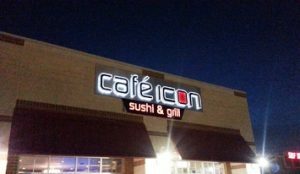 When you operate a business that runs after hours at night, backlit channel-letters signs will go a long way towards attracting new business. These lit-up signs are suitable for businesses that include convenience stores, gas stations, coffee shops, comedy clubs, restaurants, bars, nightclubs, theaters and more. However, these signs are also suitable for any business that wants to stand out from the crowd. Our team of dedicated staff provides products of the highest quality, quick turn-times, while we guide you through each process of your project. Our mission is to be your long-term sign partner, providing you with the best signage for all of your business needs. Friendly people lots of ideas for vehicle wraps.